Dr Kayode Fayemi recently assured everyone that he would not disappoint people of the state who gave him their mandate in Saturday’s governorship election. 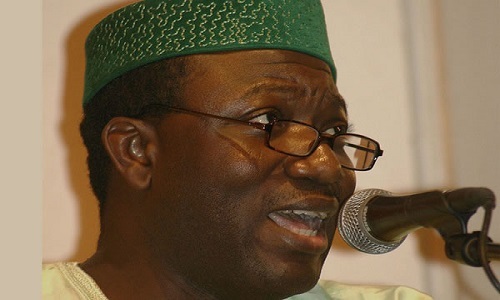 Fayemi gave the assurance in Ado-Ekiti shortly after he received the Certificate of Return as the governor-elect from the Independent National Electoral Commission (INEC). The INEC National Commissioner in charge of Oyo, Ekiti and Osun, Mr Adedeji Soyebi, presented the certificate to him at the commission’s office, Ado-Ekiti. He stressed that INEC did a good job in delivering the election in a credible and professional manner in spite of fears expressed in the build-up to the poll. The governor-elect also commended security agencies for their services during the exercise, saying that their presence gave the electorate confidence to come out and exercise their franchise. He hailed the APC National Working Committee (NWC) led by the National Chairman, Mr Adams Oshiomhole and the Executive Committee of the party in Ekiti led by the Chairman, Chief Olajide Awe. He said: “For INEC, the work has just ended and for us, the work has just started. We have a responsibility not to disappoint our people.